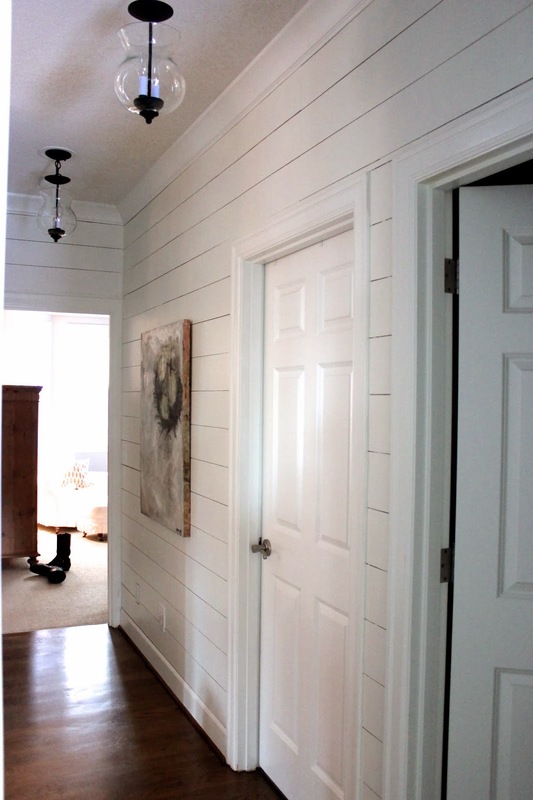 Is anyone else obsessing over planked walls? It seems as though they're everywhere on Pinterest, in magazines and in new homes. I just can't get enough of them! I feel a DIY project in my near future. Take a look at how great they can look in every room of the house! The planked walls in this kitchen remind me of a wall that's going on a fancy date. It's almost as though the walls are saying, "Let me put on some paint, oh and a little bit of planked walls, ooooh...let's not forget a simple and classy wooden picture frame...there. I look marvelous!" Looking at this room you'd think I was blogging about the beautiful built-ins with gorgeous farm doors, but while looking at this picture I started to admire the rest of the room. Look at all the detail...the coffered ceilings, the rug, the painted interior of the built-ins, and of course, the planked walls...crisp and beautiful. Love. Love. Loooove this hallway! This bathroom may possibly be the inspiration of an upcoming DIY project. This is one of my all-time favorite blogs! I looooove Kelly's taste and her home is super cozy and welcoming. Well, I haven't actually ever seen it in real life, but that's what I'd gather from her blog home tour! LOL! 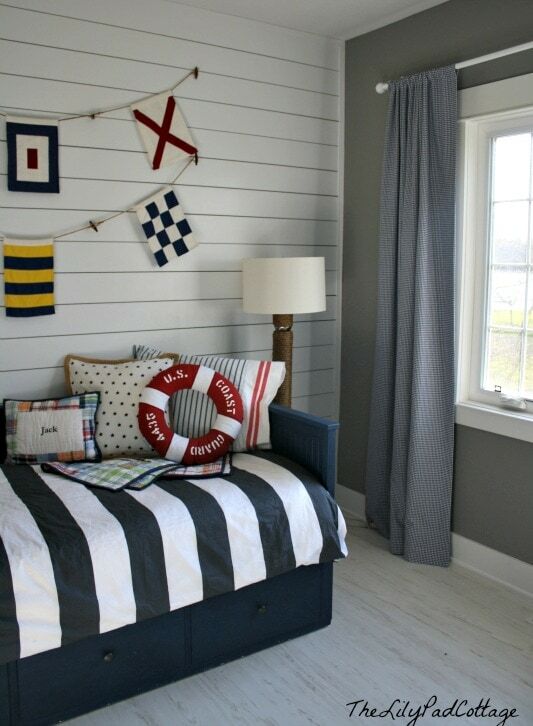 Anyway, her son's room is adorbs and the planked wall is incredibly charming. Have you tried putting up planked walls? Any pointers? Thanks for reading. Leave me your email and follow along! I'm linking up over at Your Designs This Time Linky Party! I have the same obsession! I want to do this in my house sooooo bad, these are some beautiful rooms. We should add some planked walls at the same time! :) LOL! I don't know about you, but I'm soooo nervous to try... EEK! I just scrolled through your Home Tour and I looooove your home and all of the board and batten is gorgeous. Don't even get me started on your adorable kitchen... O.M.Gosh! Ooooh I love those planked walls! Me too! I really, REALLY want some in my house! Do you have them in your home?